We regret to have to inform Members that Life Member John ‘Keith’ Hall passed away on Thursday 12 January 2017, who had been ill for some time following a stroke last July. Keith, as he was known in the racing world, had been a Life Member since 1980, having originally been elected a Full Member to the Club in 1953. Keith started his racing career in 1952 in a pre-war MG Magnette before moving to Formula 3 in 1953 racing a 500cc Cooper. He competed in Formula 3 until 1956 and was occasionally part of the Border Reivers team achieving numerous good results and wins. 1956 saw Keith move to sports car racing, acquiring a Lotus-Climax and winning the final of the Crystal Palace August Trophy Meeting. He would then follow Stirling Moss home in second a fortnight later at Oulton Park. A seat with Team Lotus, saw Keith paired with Cliff Alison in a Lotus XI in the 1956 Le Mans 24 Hours Race but unfortunately, an accident with a dog caused them to retire. The pair returned in 1957 to take fourteenth overall, first in the 750 Class and win the Index Performance. 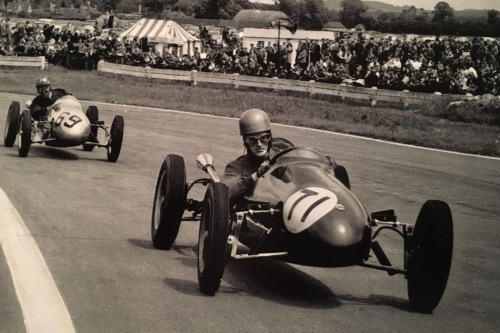 Keith branched in to Formula 2 competing in a number of races throughout 1957 and 1958, some of which for Team Lotus until he retired from racing at the end of 1958. The BRDC extends its sincere condolences to Keith’s family. The funeral has already taken place.